It’s a Head Up Display! We were pleasantly surprised by the Epic Eagle 1. It’s bright and sharp enough to be very useful in the cockpit. 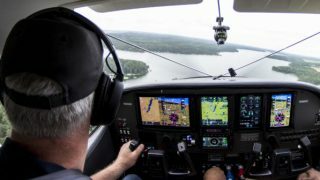 While flying, there is undoubtedly a benefit to having your eyes looking outside, rather than inside, the cockpit. 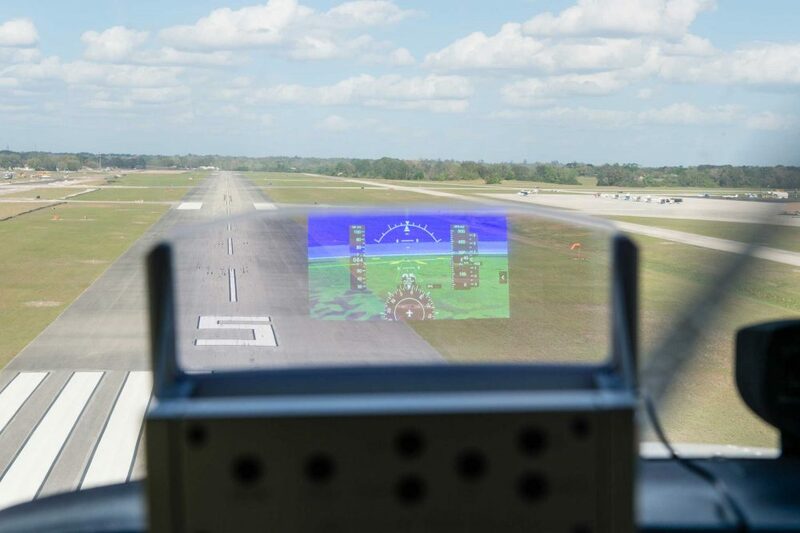 A Head-Up Display (HUD), which is common among military and some commercial aircraft, helps with this by providing flight data in front of the pilot as they look through the windscreen. We recently had a chance to test GA’s first portable HUD, the Epic Eagle 1, a sizeable device which comes in its own protective travel case. In addition to the display unit and its power cables, Epic Optix supplies a mount that’s designed to clamp to the glareshield coaming and also a RAM suction cup with a ‘ball and arm’ arrangement. 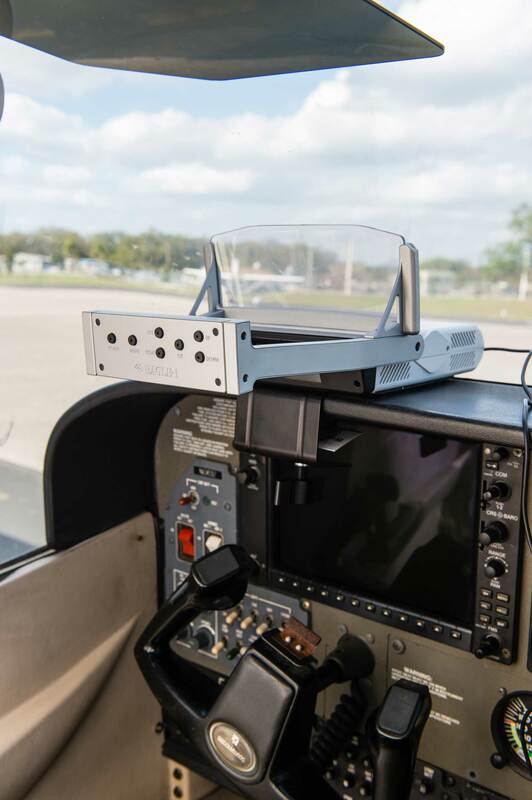 Depending on the aircraft, the idea is that you use one of these mounts to secure the HUD unit at eye level, directly in front of the pilot. We used the glareshield mount, which held the HUD pretty securely, but still meant it was at the mercy of a few vibration frequencies. 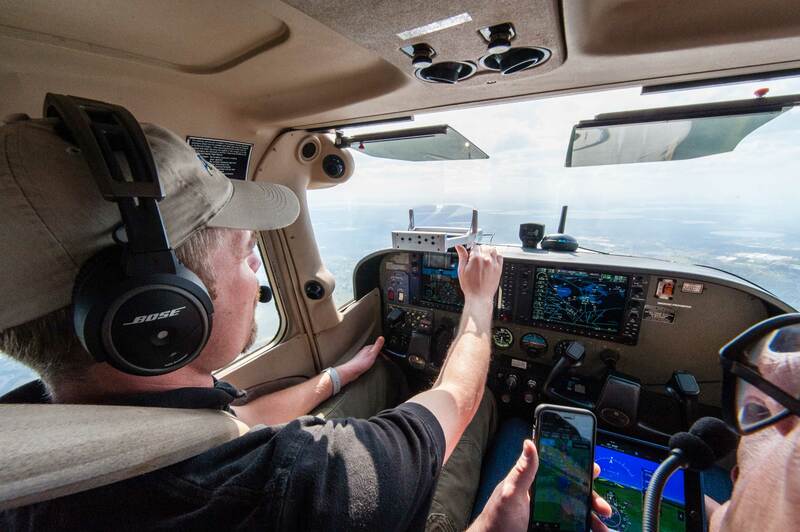 It was also impossible to avoid the bottom of the mount interfering with the view of the aircraft’s Garmin G1000 PFD. 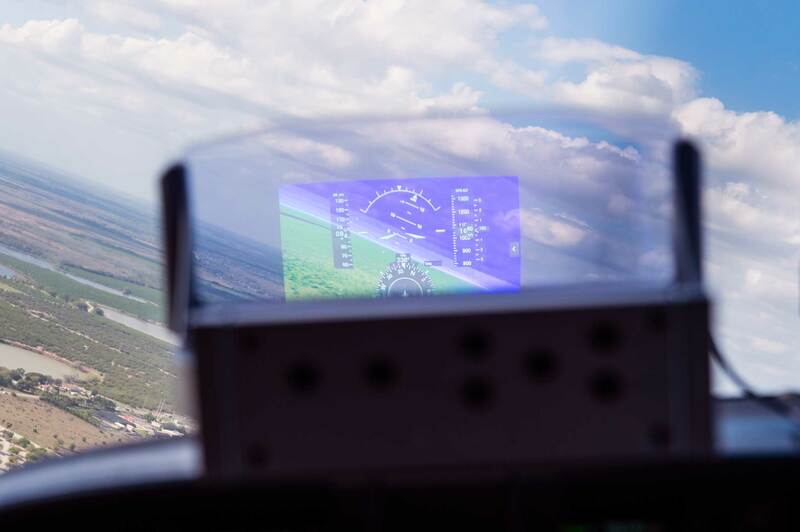 Of most concern was the clamp-mounted HUD unit’s projection towards the pilot, which suggested that it may present head-strike potential, in the event of a sudden stop. It’s powered by a lighter socket adapter and is 12V-only so pilots with one outputting 28V will be out of luck. 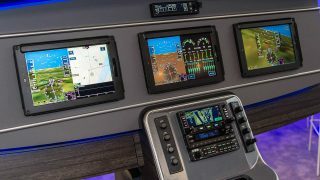 The device is set to mirror the output of a tablet device that’s running a choice of aviation apps and Epic Optix has done a good job in making the set-up and pairing process a smooth one. Much of our testing was undertaken in full sunshine and the brightness of the display was impressive, with it remaining easy to read under all lighting conditions. Seeing the HUD image required only a small shift of focus, from infinity to the display, but that soon became a natural part of the scan. 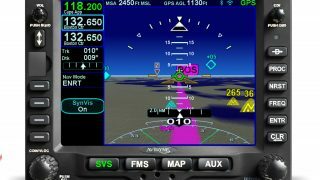 We mirrored the Synthetic Vision page from Garmin Pilot, which we thought may provide a little too much detail and information when viewed through the HUD. Perhaps choosing to mirror a pared-down display with less colour would be more useful, but that reflects more on our choice of app, rather than any limitation of Epic Optix’s hardware. From a performance standpoint, we were pleasantly surprised by the Epic Eagle 1. It’s bright and sharp enough to be very useful in the cockpit. 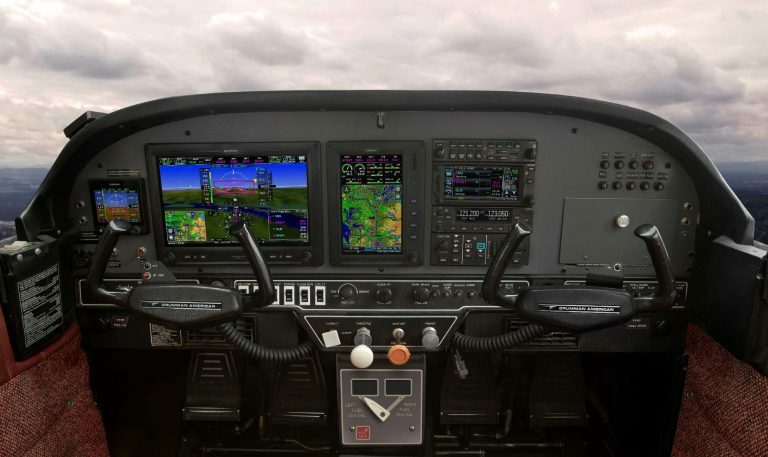 At $1,999 isn’t cheap, which might limit its appeal to pilots who like cutting-edge gizmos. Given the performance of the display and its ease of configuration, there’s definitely plenty of potential for development, if Epic Optix can find a way to reduce the physical length of the unit, which will surely lower the likely effect of vibration upon it, and perhaps even develop their own display app.